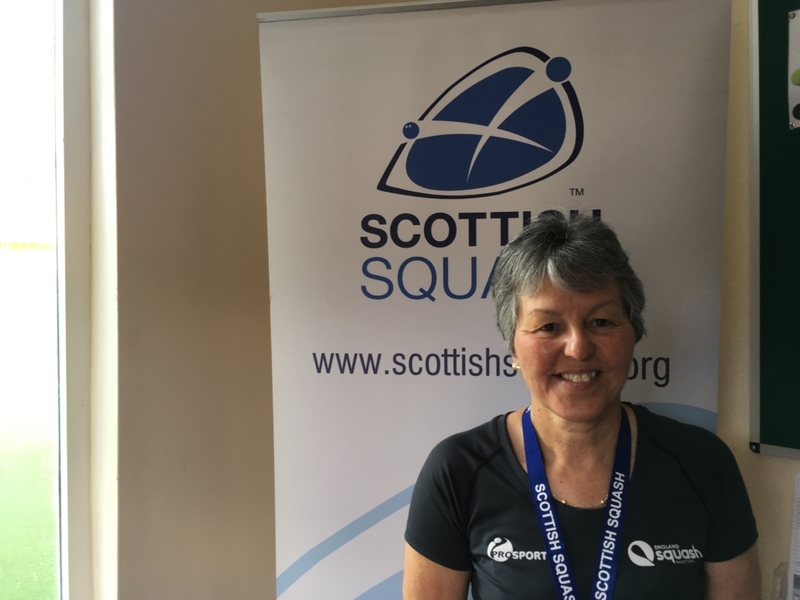 Dumfries squash player Sue Strachan secured another national title at the 2019 Scottish Masters National Championships held at Inverness Tennis and Squash Club last weekend (March 15-17). Sue won the Women’s Over 50s title at the same venue last year and was impressive once again in securing the WO55 gold medal on Sunday. She went unbeaten during the round-robin event winning all four of her matches without dropping a game. 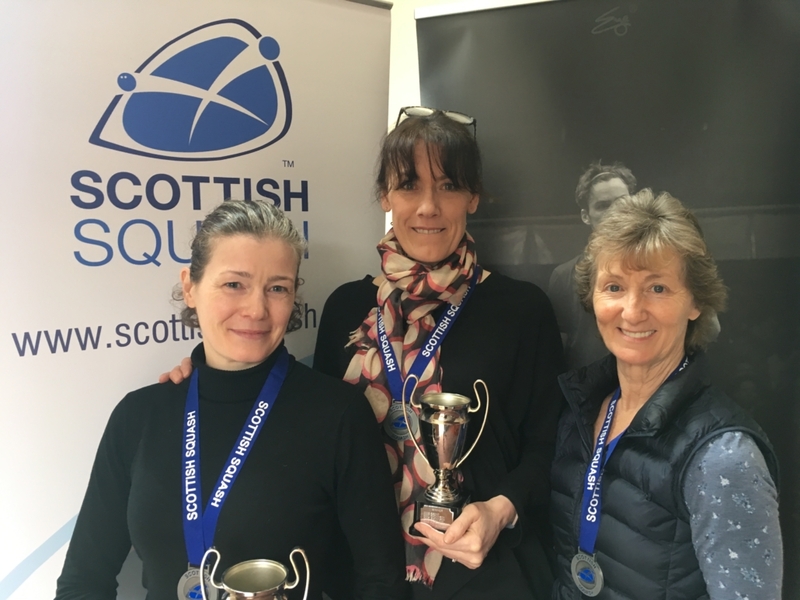 Inverness Tennis & Squash Club were once again great hosts of the Scottish Masters National Championships with the women’s draw boosted by the addition of three more age group categories. “It’s been a really good tournament,” Sue Strachan said. 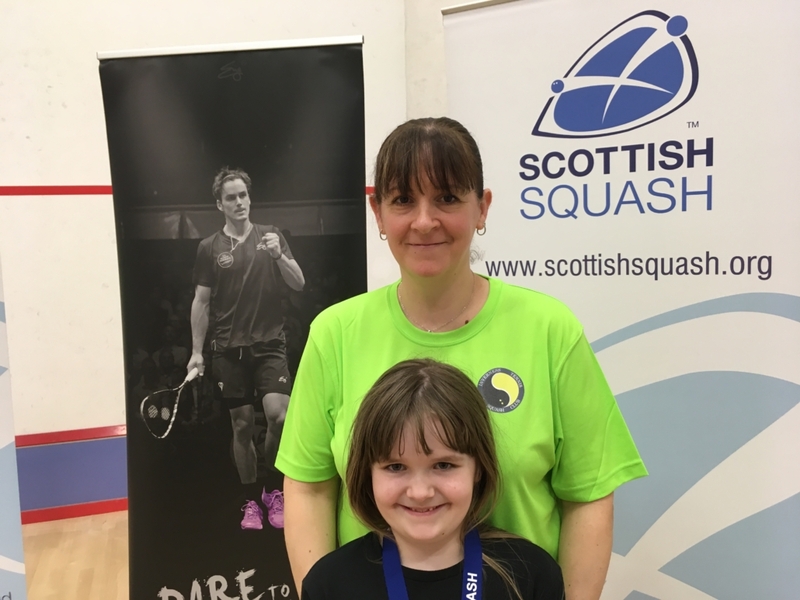 “Inverness Tennis and Squash Club have been brilliant and seeing so many youngsters helping out during the weekend was so good to see. “It was a really nice atmosphere with matches played in a great spirit. She added: “I’m delighted with my squash and pleased to get the win despite feeling nervous. Jane Davey won silver in the W055s category with Heather Spens sealing bronze whilst Jennifer McArtney was fourth and Bernie Beattie fifth. 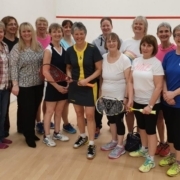 There was triple delight for Bridge of Allan Sports Club’s (BoA) ladies this year as Sabine Mackenzie, Pauline Douglas and Karen Robertson won gold medals. Sabine was dominant in the W045 round-robin competition with her win over home favourite Ailsa Polworth, the W035 champion last year, securing top spot. Ailsa, below, won silver ahead of bronze medallist Carole Begg. 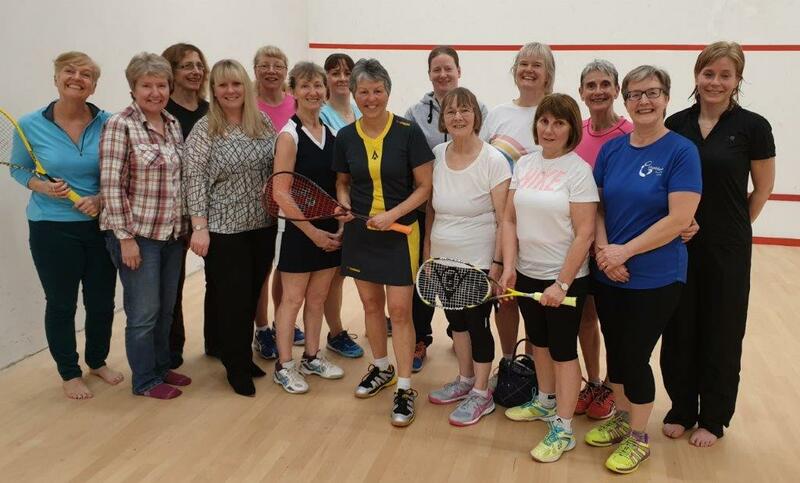 Four-time Masters National champion Sabine said: “I thoroughly enjoyed my match with Ailsa in the decider on Sunday. “It was nerve-wracking playing in front of a home crowd but also great to see so many people watching. She continued: “We have a lot of ladies at BoA so we are very lucky to be able to practice together. “There was a bunch of us from BoA who came up to Inverness and we had a really enjoyable time. Pauline Douglas was victorious in the W065 competition winning all three of her matches and not dropping a game. She said: “It has been a lovely weekend and nice to see so many ladies competing. “I haven’t played this tournament for a while because I only recently moved back to Scotland from South Africa. Maureen Carroll won silver behind Pauline with Christina Graham going home with bronze. Margery Reid finished fourth. 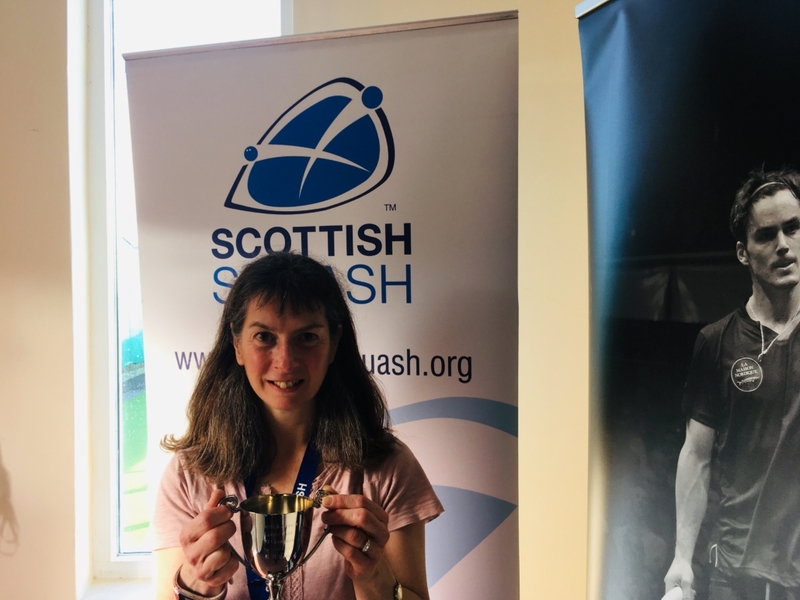 Competing at her first ever Scottish Masters Nationals, Karen Robertson won the WO35s event which was tightly contested. All three of the competing women ended with a 50% winning record with Karen winning gold courtesy of the number of games won. In one of the best matches of the weekend she sealed gold on Sunday against Mairi Vines winning the two games needed but losing the gripping encounter, 16-14, 10-15, 15-8, 8-15, 13-15. Karen said: “I really enjoyed the weekend and it was good to get the win in my first time competing here. “I knew I had to win two games against Mairi and was pleased to get over the line. Elaine Inglis secured W035 silver with Mairi Vines finishing in the bronze medal position. It was also a first national title for Julia Horsburgh on Sunday as she went one better than 2018. 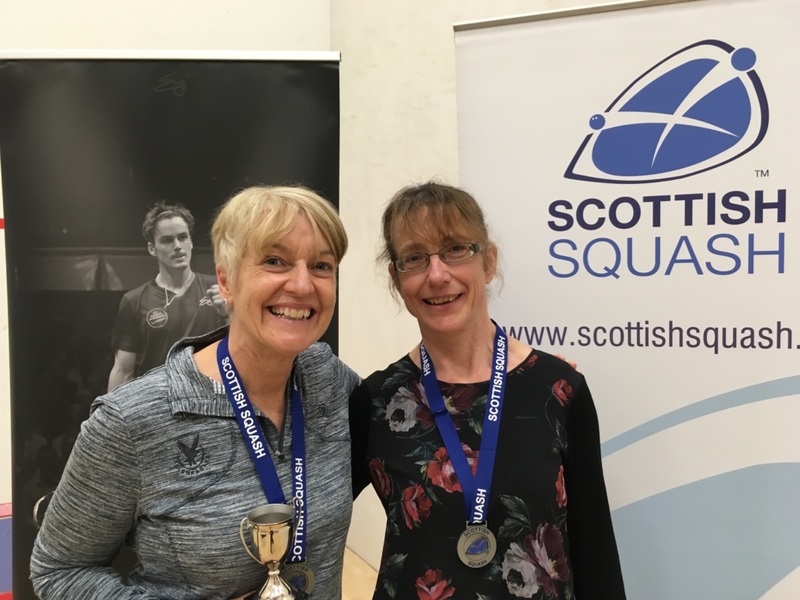 The Bell’s Sports Centre player finished runner-up to Sue Strachan in the WO50s event last year but sealed gold in 2019. She won both of her matches in the round-robin format. “I am very pleased to have won and it will sink in a little more later,” Julia said. “I was pushed in both matches and had to work hard. “It is my second time playing at this event in Inverness but it’s an extremely friendly club and well organised. Helen Cordiner won WO50s silver with Debbie Gillespie winning bronze. Eunice Bond is a national champion once again after victory in the Women’s Over 60s category. The 2018 WO55 winner went unbeaten to seal gold again on Sunday. The Somerset-based player said: “I am very happy to win a second title in a row. “It was an enjoyable weekend and I like coming back in Inverness. “I love being part of the Scottish Squash scene and the camaraderie between players is great. Jane Grant was second in the W060s with Norma Marshall finishing third. Read the Men’s O55-75s report here and the Men’s O35-50s report here.